This is from an email, recently received from an ex-member now living in Australia. Don Kitson went to Dedham primary before high school at Manningtree which he left at aged 14 years and 11 months. 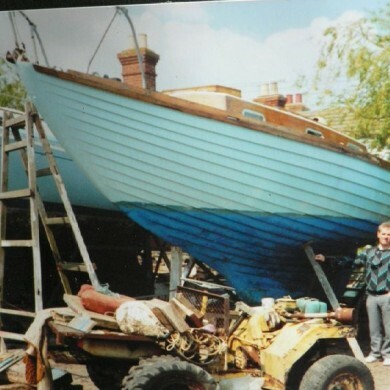 He then started a 5 year apprentice-ship in Yacht and Boat building at Dedham boatyard under Fred Smeeth. 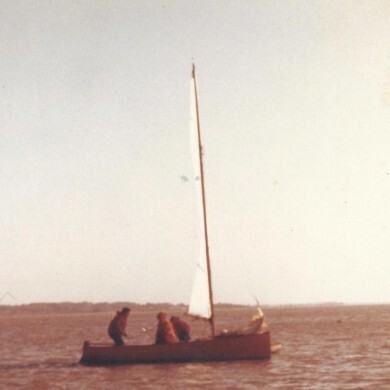 Here he built anything from Clinker dinghies to 15 ton yachts that were transported by truck to the water, where they were placed on the hard at Brightlingsea to await an incoming tide. 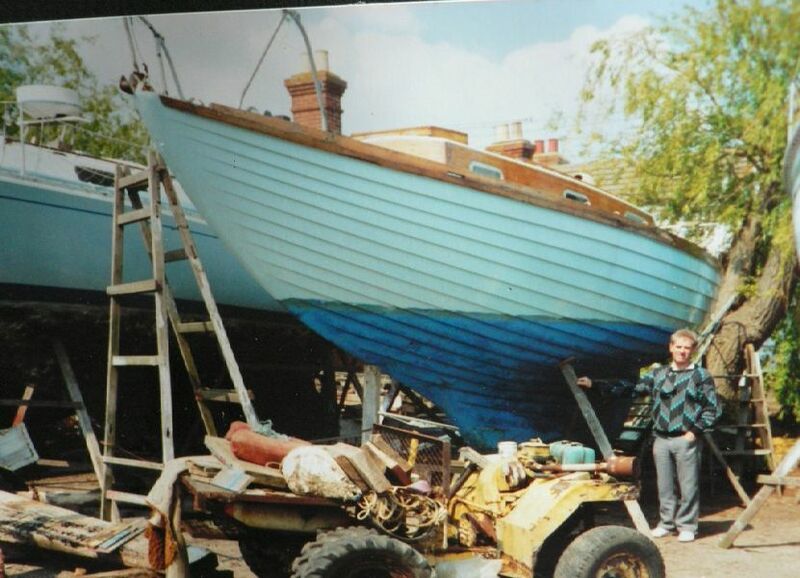 While working at Dedham 1963 he built an OK dingy which he then took down to Harwich and stored it in the yard. He used to travel to Harwich on his BSA 150 motorcycle to race. Ben Dale also worked at Dedham and sailed an Enterprise at Harwich. He and his father worked for Trinity House on light ships. 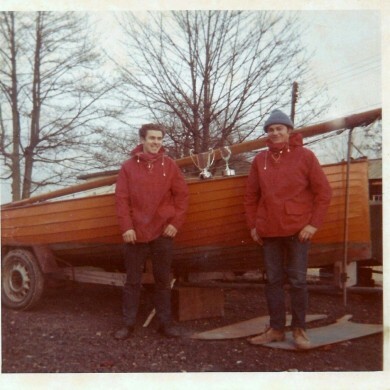 In 1965 Don transferred to Stour Sailing Club and sailed the OK for a year before buying an 18ft National ‘Astra’. This he sailed with Peter Binks and Myrtle Airey as crew. 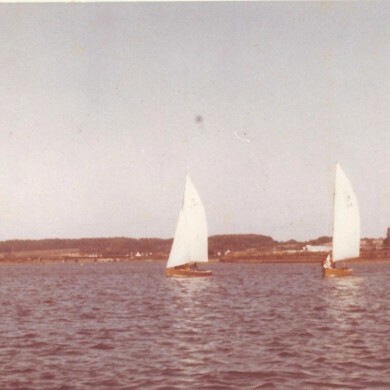 Also sailing at the club were Lionel Airey – Carl Cann- Chub Horlock and his brother, as well as the Peeke family who had a converted life boat along the foreshore near the Club. In all there were 5 National 18s along with Mirrors- Flying 15- OK dinghies- Enterprise- GP 14- Lazy E- Hornet-Fireball-Osprey dinghies. When they were not sailing Don and Peter fished at Wrabness, digging the beach for rag worms and catching Plaice, Flounders, Eels, Skate and Cod in the winter. 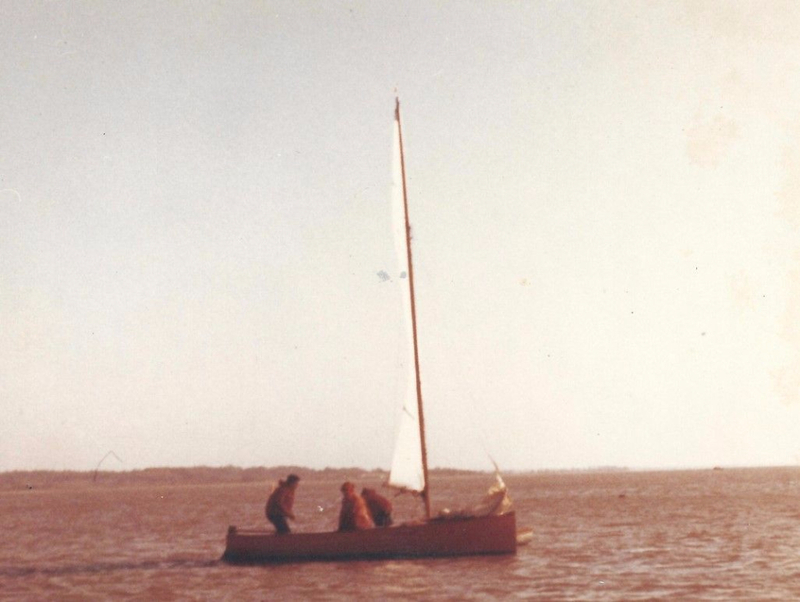 When in 1973 Don brought his Australian wife to see where he use to sail he walked her down the causeway in ankle deep water, but he forgot to tell her there is a dog leg in the path and she experienced the Manningtree mud first hand after walking straight ahead. Don was not very popular for a while after this episode. 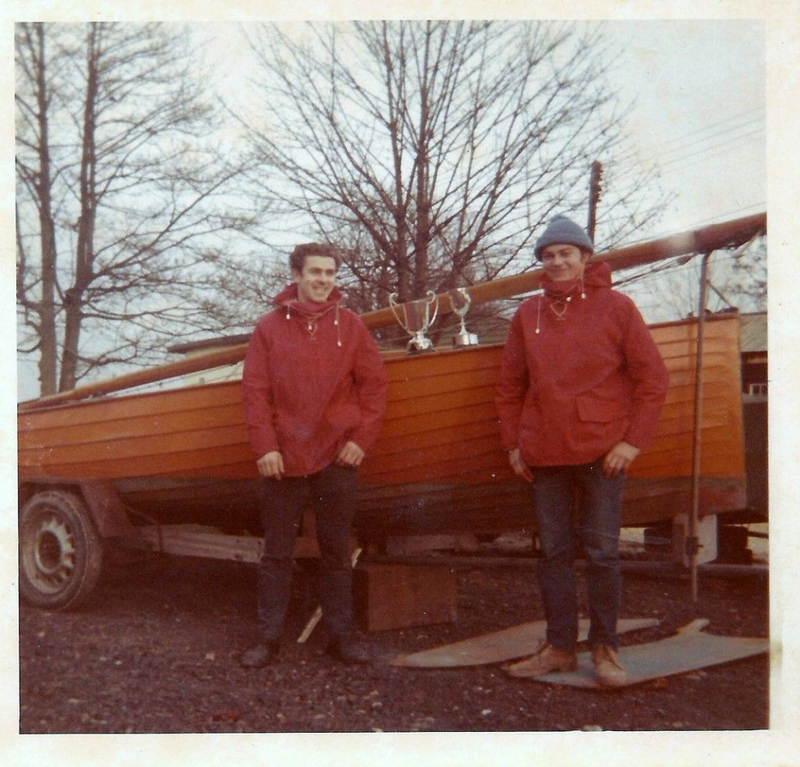 In 1967 Don went to Work for Reg White from Brightlingsea at Sail Craft building plugs for Fibreglass catamarans Including Iroquois Mk1 and 2 and Comanche cruising cats. Over 200 Mk1 Iroquois were built for the UK and European markets, with several sent to the USA. 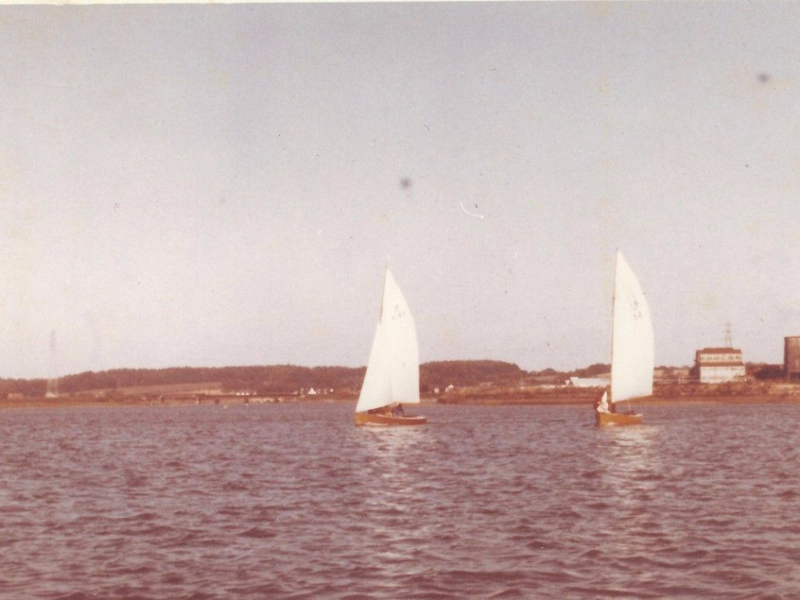 One day Admiral Peeke from the Stour club was talking to Reg and he told him Don was a good sailor, so Don ended up crewing for Reg White on the then New Tornado catamarans, while Reg’s brother in law John Osborn sailed another Tornado as tune up boat. In 1972 Reg and John went on to win an Olympic gold medal. By this time Don was enjoying life in Sydney with his new Aussie bride. He had built a Tornado on arrival in Sydney so he decided it would be a good idea to give his new wife Half a tornado as a wedding present. In 1971 when Will Langton was Second officer on a ship visiting Sydney Don took him sailing on the tornado on Sydney harbour. Don & His wife Cheryl raced off the beach Cats in Australia for 28 years before he built a 12mt catamaran ‘Freyja’ on which they cruised the Australian coast for 5 years. He now lives in Buderim Queensland and has two sons and four beautiful grandchildren. Don emigrated to Australia in 1970 and Peter Binks is believed to still live in Clacton.